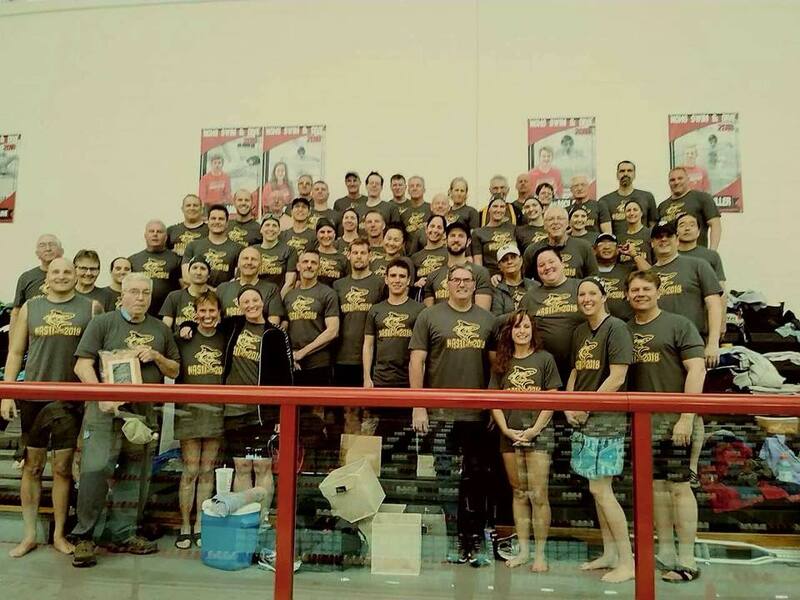 Congratulations to the Noblesville Adult Swim Team – 2018 GRIN State Champions! In a hard fought battle at this year’s 2018 GRIN Short Course State Championship, the Noblesville Adult Swim Team won the Large Team title! The Small Team division was won by Southeastern Area Masters Swimming! With an amazing number of swimmers – and personal best swims, this was a great meet for all and a great warm-up to the USMS Spring National Championship in Indy in May! Thanks again to Matt Papachronis and the Washington Township Swim Club for hosting this year’s meet in their beautiful facility. The volunteers and staff did an amazing job running the meet and your efforts are appreciated by all. Be sure to check out the 2018 GRIN Short Course State Championship results and final team standings. We hope to see you all next year! State Results – Saturday and Sunday. Here are preliminary results for the GRIN State meet. The Psych Sheet is now available for the GRIN State Meet. If there are any corrections that need to be made, please email Karen Gernert (karengernert@yahoo.com) ASAP. Also, please keep in mind that relay entries must be submitted to Karen by Wednesday, March 21, at 11:59 P.M. EDT. Relay entries may be team designations only. If relay swimmers are known at the time of entry, names would be greatly appreciated. Relay swimmers / swimmer order may be changed on deck. All relay changes must be received by the head table at least 30 minutes prior to the event. All relays (GRIN and non-GRIN teams) are $12 per relay and the fees are paid on deck prior to the event. If you have any questions, please let us know. We look forward to seeing you all next weekend for the GRIN State Meet at North Central High School. You must check in at 7:30-8 a.m. Saturday and Sunday for the 1650 and 1000 and by 10:30 a.m. for the remainder of events. Great Racing at the 32nd Annual Masters Spring Fever Invitational! 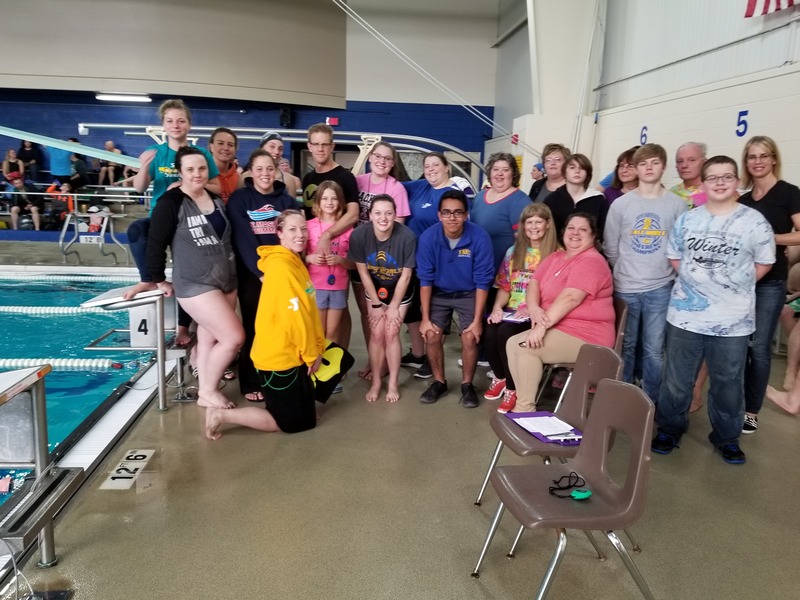 The Cole YMCA Masters Swimmers hosted their 32nd Annual Masters Spring Fever Invitational March 10, 2018 in Kendallville, IN, and what a meet it was! We broke a meet attendance record with 68 talented, motivated and energetic swimmers! There was a great crowd of many swimmers looking to better their times and better or achieve National Qualifying times for the big meet in Indy this May. We also had so many first time meet swimmers, I lost count! That’s what this meet is all about; Start Masters and Never Quit! There were swimmers from Fort Wayne (FWYS), Huntington, Angola (101 Lakes Masters), Noblesville (NASTI), Indianapolis (INDY aka IAM), Zionsville (ZAM), Elkhart (Concord), Middlebury, South Bend (SBRM) & (IRISH) , Columbia City (SYMS), and a couple of gentlemen from Michigan Masters. We’re always pleased to have GRIN officers in attendance and we’re happy to be able to thank former officer, Chris Sikich and Cheryl Gettelfinger, Top Ten Chairperson for all the work they do for us! Special congratulations to Cheryl on her 3 State record swims (400 IM, 500 Free, and 100 Breast)! Our amazing starter, Jim Simons from Angola kept the meet rolling with only a short 5 minute break after the 500 Free. (mainly for our timers!). I’m really proud of all our volunteers and our 9 Cole swimmers; the most we’ve ever had to swim the meet. Donald Kroeger, 74, Ali Turf, 54 swam nearly every event and Linda Marvin, 44 swam EVERY event. They are truly amazing! The surprise “bucket” relay at the end was easy and fun. Just ask the first place team of Fernando Alamos, Susan Alexander, Jeff Ostermann, Elisabeth Rexroth, Larry LeMaire and Greg Clarke! The 2nd place team was Jeff Martin, Michael Metham, Haley Arnold, Eric Tyler, Robert Miller and Chris Gildea. There is the meet video on Youtube. Check out the link on the Cole Y Masters Swimming Facebook page. We had a great meal (late supper) afterwards with good camaraderie. Good Luck everyone at State & Nationals!